Our garages can be a really dangerous place for small children. It’s filled with large equipment, vehicles, and dangerous tools and materials. Child-proofing your garage is always a great idea especially when the weather is nice out for playing around the house. Check out these five easy ways you can easily kid-proof your garage for their safety and your peace of mind. The first thing to kid-proofing your garage is limiting their access to the garage. There are numerous ways to add additional locks to the garage. From knob locks to dutch doors, securing the garage door’s passage will control your children’s entrance to the garage. Also be sure to secure vehicles, freezers, and other large appliances they can unlock in the garage. The garage is a common place to store heavy duty tools and toxic materials. Investing in shelves, racks, and high-quality storage to store these dangerous substances ensures proper safety for your children. Keep lawn tools out of reach, as well as sharp materials. Keep equipment high and locked away in secured, sealed containers. Continue to do regular maintenance on your garage door to ensure it’s working properly. 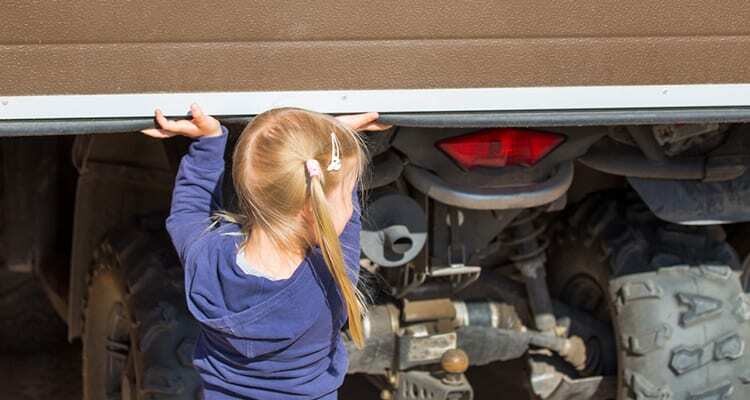 Always be aware of unusual scraping or squeaking to make sure it’s working correctly and test everything. When testing the door’s path, manually test it without the garage door remote. Be sure its sensors are working accurately so prevent any future accidents. If you do allow your children to play in the garage, always have a responsible adult to supervise. It’s better safe than sorry to have someone there to make sure no accidents occur. This also goes for opening and closing your garage door as well. Garage doors are heavy and can cause severe injuries. If you care about your children’s safely, start a conversation with them about the dangers of the garage. Tell them when and what you don’t want them doing in the garage especially the objects they shouldn’t be touching or looking at. Be sure to let them know the consequences and let them know to always keep you in the know if anything happens.